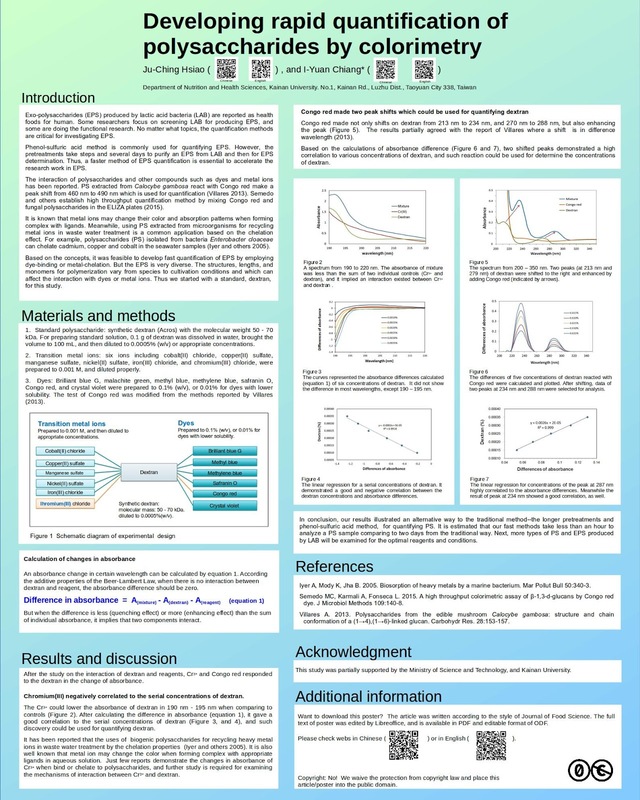 如似晴空---juching's Blog: Download our poster: Developing rapid quantification of polysaccharides by colorimetry-- Published in the Annual Meeting of Food Science and Technology, 2015, Taiwan. 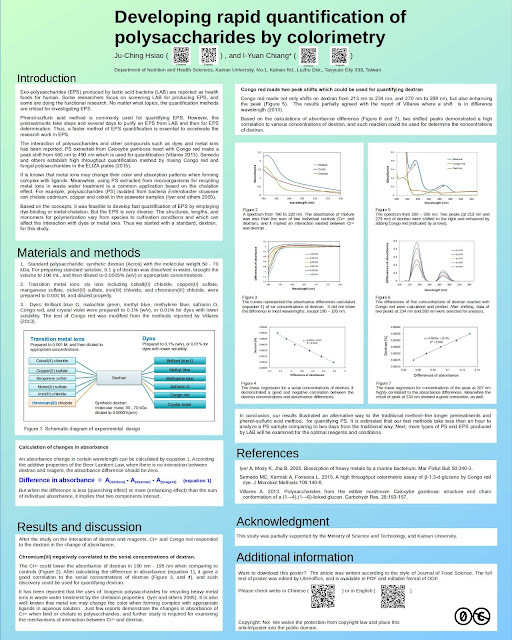 Download our poster: Developing rapid quantification of polysaccharides by colorimetry-- Published in the Annual Meeting of Food Science and Technology, 2015, Taiwan. Published in the annual meeting of Food Science and Technology, 04 December, 2015, Taipei, Taiwan. or editable -- open document format (ODF).